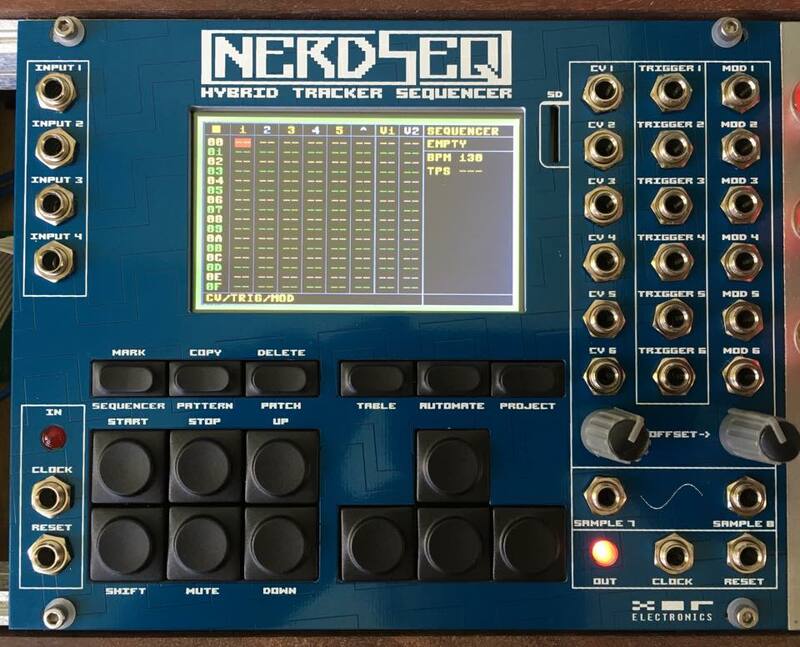 I told you about the Nerdsynth prototype – this is the sequencer as a module based on trackers. it provides 6 tracks and therefore 6 CV/Gate jacks plus 1 more „mod“ CV – that alone gives a huge amount of controlablility since you must not just control pitches by those tracks! Will be ready by the end of this year by XOR-Electronics (Thomas Margolfs company name). To me those 6x 3 outputs feel like controlling a lot from a small module by a well known easy to use interface. Der Nerdsynth, den ich von der Messe aus gezeigt habe (bisher als Prototyp) kommt nun als reiner Sequencer im Eurorack-Format. Er hat 6 CV/Gate Pärchen und dazu noch einen MOD-Ausgang, was eine echt massive Steuerungsmöglichkeit darstellt und natürlich an Tracker erinnert (Renoise, 8Bit-Rechner). Thomas Margolf baut die Teile jetzt und ich glaube, dass sich das lohnt, er wird Ende des Jahres fertig sein. I really hope this is open source or at least really affordable. I would love to have a few but I’m really budget. it’s a regular product – don’t know yet if it will be hackable in a way..